I appreciate the email. Here are my answers to your questions, in chronological order. Most of the time, it can be corrected. A lot of our patients actually have needed repair hair transplants. Their situation was very similar to yours in that they had plugs or micro-graft surgeries. Whether your donor hair is sufficient, I dont’t know. I have to examine you for that. A good majority of people have enough hair to cover up a hair plug procedure. 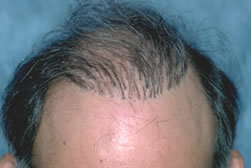 Some men have so much donor hair that they can even cover up other areas of hair loss. It is plausible to use body hair, but it is much better to use head hair. If you’re in a situation in which you have virtually no scalp hair, and also high-quality body hair, you could be a good candidate for a body hair to head procedure. I can’t tell you if your hair transplant surgery will be affordable right now. Only after I evaluate you. It will all be based on the number of grafts that you require. We offer discounted rates to qualified candidates on our standby program. Make sure to attach photos of yourself and email them to me. The photos we need of your head are from the front, left and right sides, top and back. Make sure to also include a picture of the hair plugged areas of your head so I can take a better look at it.